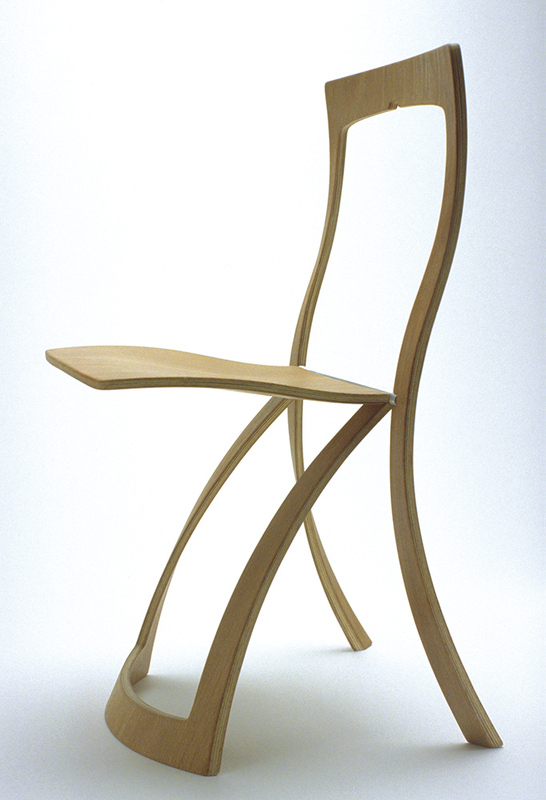 The folding chair Vela is lasered from one single layer of three-dimensionally bent plywood. The central hinge is made of stainless steel. This chair is a perfect symbiosis of elegance and material savings. 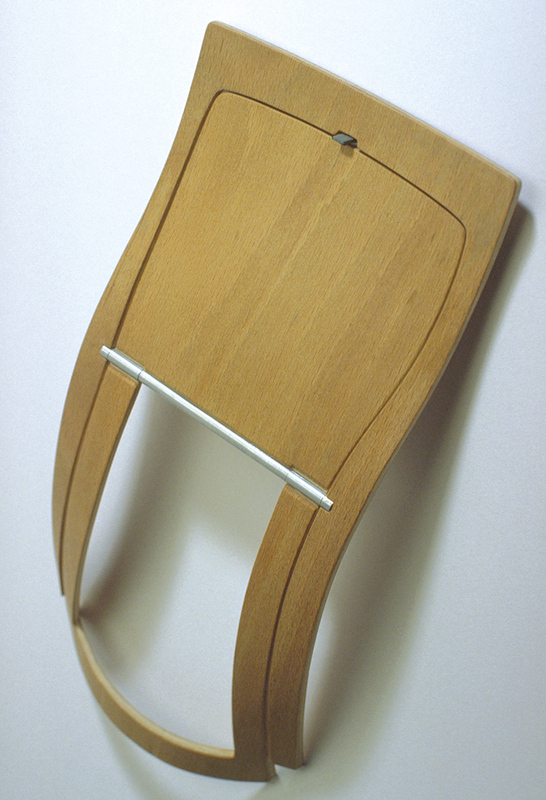 A stack of folded chairs can easily be hung on the wall.